Relax and enjoy the fabulous surroundings and extensive views from our conservatory and tea room. Coffee, snacks and light lunches are available from 10am to 5pm, served to your table by our friendly staff. 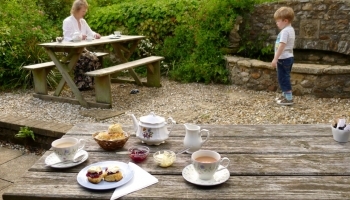 Delicious Devon cream teas featuring homemade scones are one of our specialties. Locally made cakes and homemade soup complement our range of freshly made sandwiches. Choose an unusual gift for a friend from our gift shop. 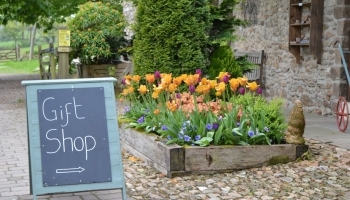 Many locally sourced items are available including jams, chutneys, birthday cards and special woollen socks! Bird baths, tables and chairs and many other garden ornaments available to add to the atmosphere in your own garden. We always have new items arriving from our carefully selected suppliers so that you can find the perfect items for your home and garden. The nursery specialises in hardy plants. 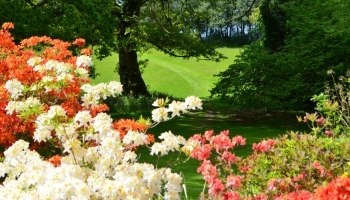 Many of the special plants that you appreciate within the gardens are available to purchase. A wide selection of shrubs and herbaceous plants can be found alongside some special bulbs and a range of alpines. The nursery is open to garden and non-garden visitors alike during the normal opening times (1st April – 31st October, 10am – 6pm). Our friendly staff will be delighted to help you and Mary can provide extensive knowledge to help you choose just the right plant. 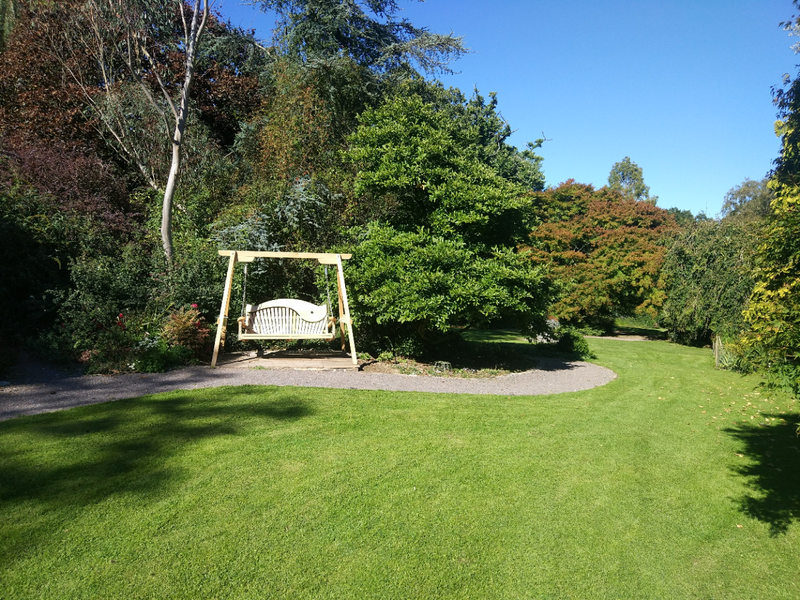 Burrow Farm Gardens installed this beautiful bespoke swing seat made by Sitting Spiritually. Placed near the entrance to the garden the seat has made a wonderful focal point across the lawn and is used by almost every single visitor!